Get a Hop on Easter Baskets with Wonderforge! And it’s also a Giveaway! Every year, after Church on Easter Sunday, my family has our yearly Easter egg hunt and Easter basket handout. We’re a very competitive bunch and our Easter egg hunt is like the Laura Ashley equivalent of The Hunger Games. 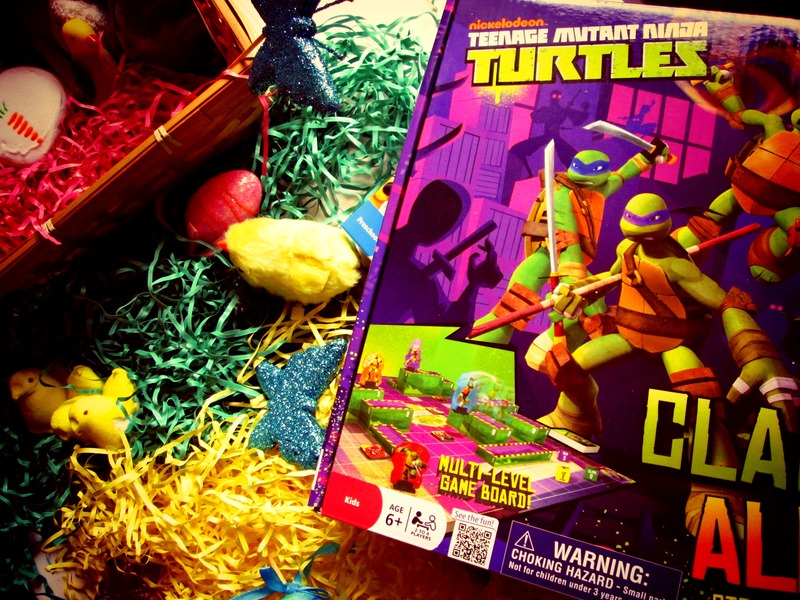 The same competitiveness rings true through any game we’re playing – our most favorite game right now is the Nickelodeon™ Teenage Mutant Ninja Turtles™ Clash Alley™ Strategy Board Game. I grew up with TMNT – so I was super excited to get my hands on this game! Although, Shawn (my little brother), didn’t grow up with the Ninja Turtles, he was absolutely in love with this strategy game. On a mission to rescue April, you battle mutants Kraang and Shredder – you get get to recover objects and even pick up pizza! But our favorite part of this game was the 3D aspect – it adds another “layer of fun” as Shawn put it. It comes unattached – so you have to set it up. I’m hopeless when it comes to putting things together, but even I managed this one really well (I’m proud to say). The object of the game is to be the first turtle to complete your mission by collection your mission tile and returning to your corner home space. You do this by rolling the three dice which tell you how much you can run, climb, and leap, and you can do those in any order with the goal being to get your mission tile. It’s so fun, and super easy to understand! We played a LOT of rounds, it’s pretty addictive, it’s like a fun combination of action, puzzle, and board game because you have to figure out what moves will work best for you. Very cool! 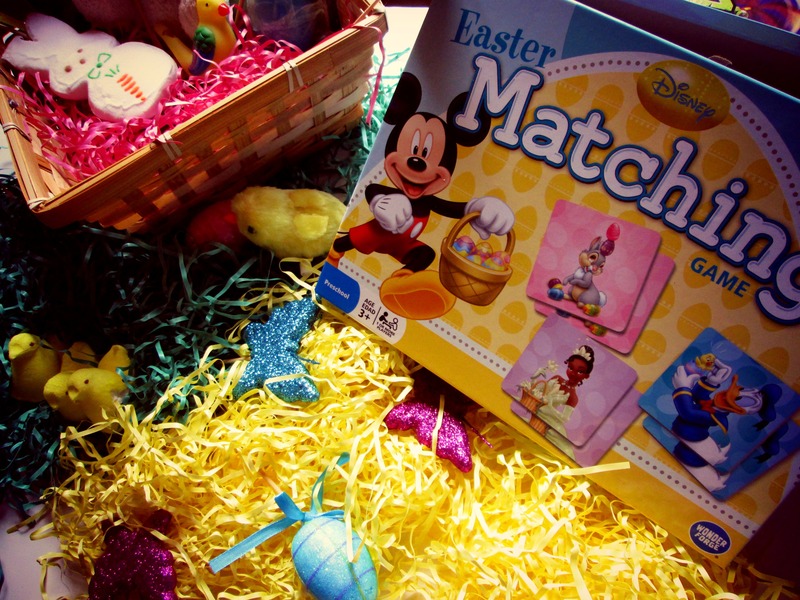 Another game, perfect for your younger bunnies, is the Disney Easter Matching Game! It’s so adorable, and a perfect game for young Disney fans. Favorite Disney characters are featured including Mickey (naturally), Donald, Tinker Bell, Minnie Mouse, Belle, Daisy duck, Piglet, Phineas and Pherb, the green aliens from Toy Story, Winnie the Pooh, Buzz and Woody, and more! I’m gifting this one this Easter to my neice – who absolutely loves Disney! I love how this match game develops the memory of little ones; and thanks to Wonderforge is made out of recycled materials for a smaller footprint on our environment! 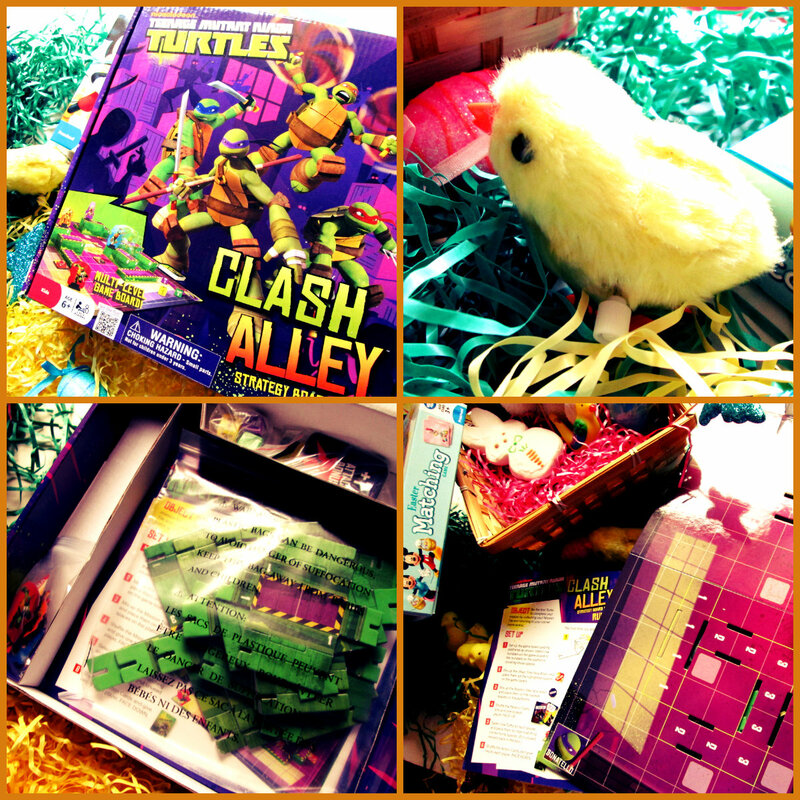 The kind folks at Wonderforge are offering one lucky winner both the Nickelodeon™ Teenage Mutant Ninja Turtles™ Clash Alley™ Strategy Board Game and the Disney Easter Matching Game! 1. All of Wonderforge’s facebook followers get an extra entry! If you don’t follow Wonderforge on facebook yet, you can do so here! *Wonderforge provided me with product samples in order to facilitate a review. However, all opinions expressed here are my own. Giveaway open to 18+, US only. Starts 3/18 and closes on 3/26 at midnight EST. The Creativity Comeback with Creative Can! YouTube Kids Luncheon at MILK Studios! Previous Post Wildlife & The City, a Safari Review & Giveaway! 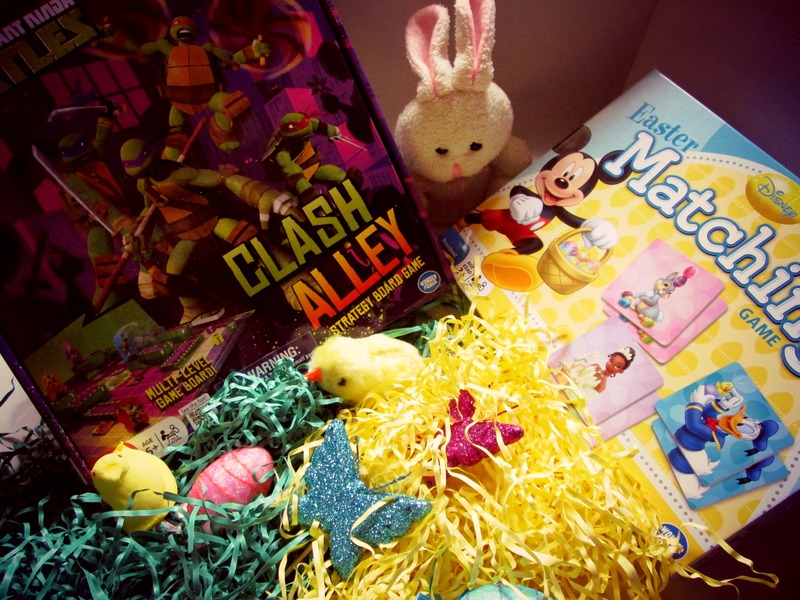 Next Post Sprouting Up Fun: Fabtastic Bloggers Spring Into Play Toy Blast Giveaway! I like Wonder Forge on Facebook. Following The NYC Talon on Pinterest as SuzieBee20. I follow Wonderforge on twitter.. I follow The NYC Talon on twitter. I like Wonderforge on Facebook. I follow The NYC Talon on Pinterest. I follow Wonderforge on twitter as lstanziani.Thanks! I follow NYC Talon on twitter as lstanziani.Thanks! I like Wonderforge on FB as Leslie Luke Stanziani.Thanks! I follow NYC Talon on pinterest as lstanziani.Thanks! I retweeted as lstanziani and was the 27th one to do so.Thanks! Follow Wonderforge on Twitter. @kdonelson kristiedonelson(at)gmail(dot)com Thank you. Follow NYC Talon on Twitter. @kdonelson kristiedonelson(at)gmail(dot)com Thank you. Like Wonder Forge on Facebook. Kristie Morrison Donelson. kristiedonelson(at)gmail(dot)com Thank you. Like NYC on Pinterest. Kristie Donelson. kristiedonelson(at)gmail(dot)com Thank you. Retweeted. @kdonelson kristiedonelson(at)gmail(dot)com Thank you. I follow Wonderforge on Twitter @CRahk1952. I follow the NYC Talon on Twitter @CRahk1952. I follow Wonderforge on FB as Cheryl Rahkonen. I follow the NYC Talon on Pinterest: http://pinterest.com/crahk/. I follow Wonderforge on twitter. Follow NYC Talon on Twitter! Follow NYC Talon on Pinterest!